We offer programs packed with stories, games and hands-on activities to help your young students learn about nature in a fun way. As fall turns to winter, some animals migrate, some animals hibernate and some stay here & stay active. Through stories, games, hands-on activities and LIVE animal observations, students will learn which animals do what in order to survive our cold, Michigan winters. Animals Use Their Senses Too! 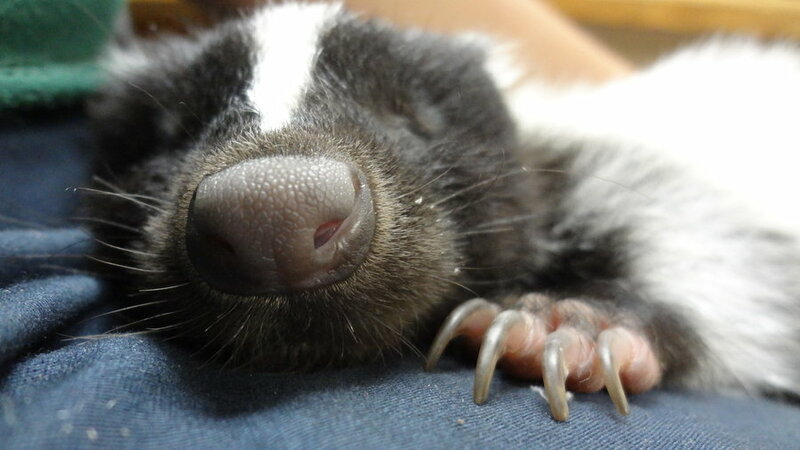 During this one-hour program, your students will make connections between their own five senses and how animals use senses to survive. 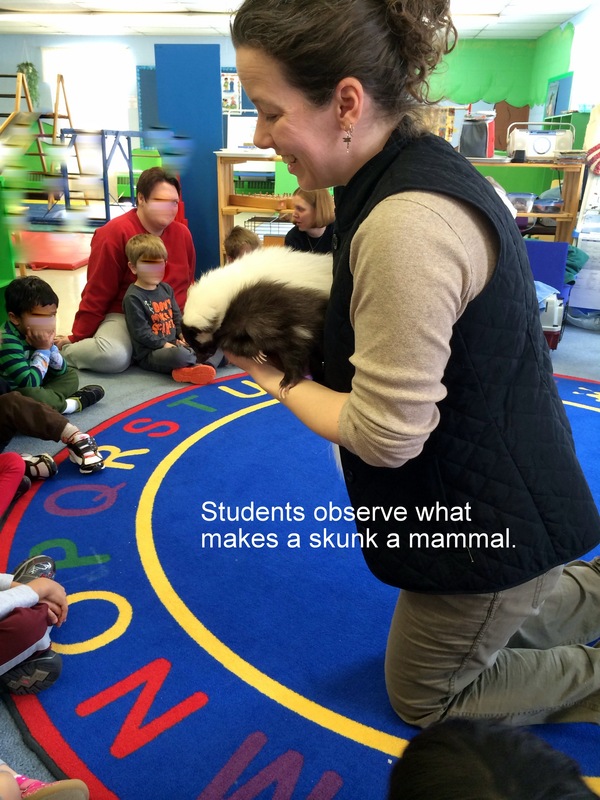 We engage students in hands-on activities, games, science experiments and LIVE animals. And cover required teaching standards and educational benchmarks. The animals are examples of local wildlife and were obtained legally with Michigan DNR permits. Spring is a season of change: snow melts making puddles, rain fills ponds, animals wake up and new life begins! 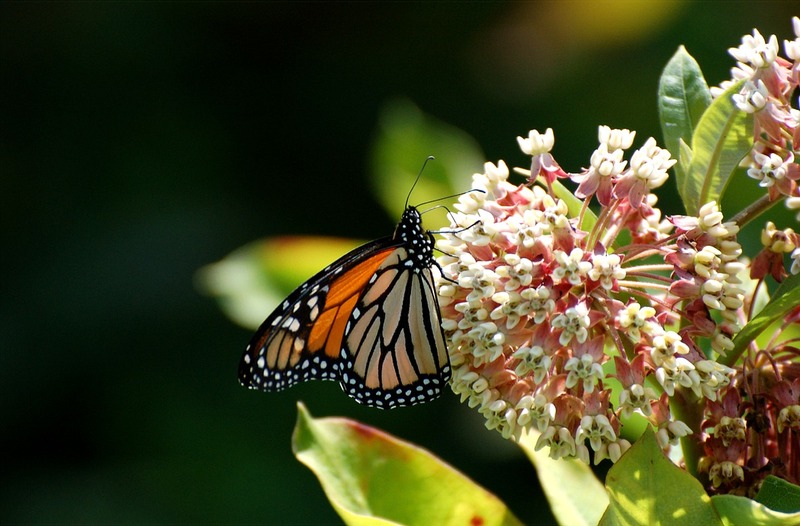 This fun, hands-on program will help students understand the changing seasons, what makes spring different from the other seasons as well as offer an introduction to life cycles and metamorphosis. 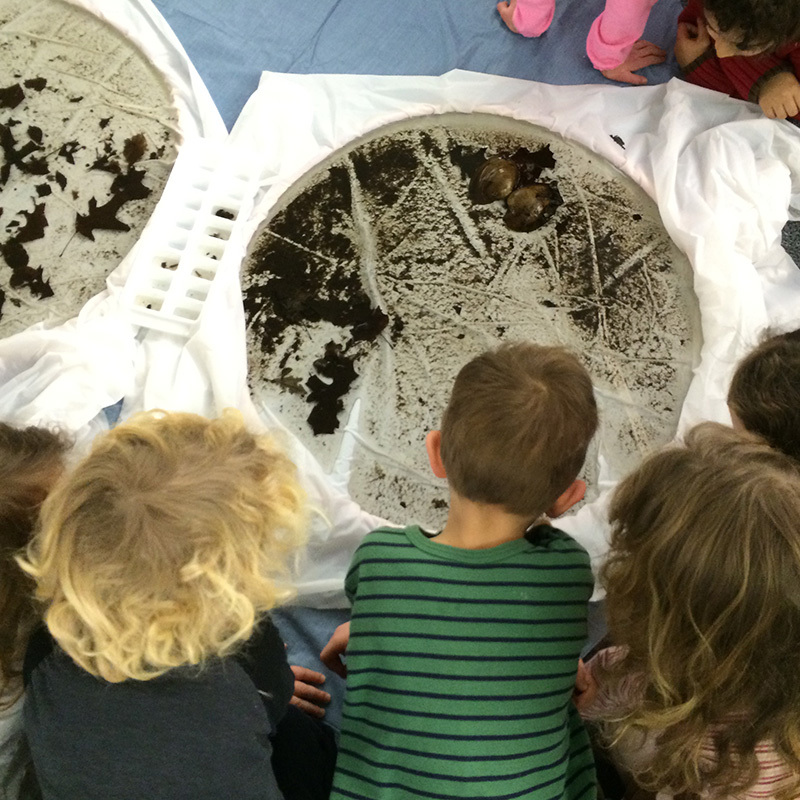 A portable pond with live animals will offer an up-close look at life in a pond. This program spotlights the super heroes of the insect world: pollinators, predators and decomposers. Hands-on activities and games will show students what makes an animal an insect, what makes an insect a bug and how valuable insects are as a part of a balanced ecosystem. We provide students with live beetles to observe and participate in a metamorphosis life cycle sort. By using a hands-on, interactive watershed model, students will see the difference between point/nonpoint source pollution as well as how humans impact the environment within their watershed and Great Lakes region. Macroinvertebrates collected from a water source near your school will provide students with the opportunity to sort and identify indicator species in order to offer a glimpse into the health of the watershed in which their school is located. Animal classification is the name of the game as students learn the basics of what makes an animal a mammal, bird, fish, or reptile. Hands-on activities, games, stories and live animals provide a well-rounded educational experience for your students. Ready to book your school’s next program? Call 734-550-9613 and ask for Laurel. Or connect with us here. Welcome to Nature on the GO! I'm Laurel Zoet, a naturalist who brings portable nature programs to libraries, schools and group events. Check out our current offerings. If not for a tiny midge fly visiting the flower of the Cacao tree, we would not have cocoa pods to harvest for chocolate production.